Apple Inc., introduced iBeacon in order to explore locations and create unlimited opportunities to interact between iBeacon hardware and iOS devices. The hardware enabled with Bluetooth Low Energy (BLE) determines the proximity and locations of the nearby iOS device. It gives a personalized user experience in connecting with the nearby iOS devices. Thus, iBeacon app forms the perfect solution for the enterprises as they could use it for one-to-one interaction with their customers in boosting their products. We, at Orange Mantra provide Enterprise-grade mobile engagement solutions through iBeacon App development for small, medium or large enterprises across the globe. We help you deliver personalized in-store shopping experience with contextual and meaningful communication, ads on their mobile devices. With extensive knowledge about the contemporary technologies and futuristic mindset, we deliver scalable and custom iBeacon Application Development solutions at competitive pricing. Orange Mantra believes in building long-term customer relationship and provide post launch upgrade, support, and maintenance services. We transform the mode of communication indoors for retailers, event organizers, transit systems, enterprises, educational systems, and other sectors. Henceforth, the opportunities with iBeacon Application Development Services, the real-time targeting technology remains endless with Orange Mantra. Domain Expertise: Our developers are specialists in developing strategic apps in order to avail the best solution. Maximum footfall: We help you target the right customers with powerful analytics earning the maximum footfall. Flexible and Scalable model: Our flexible development gives you the required scalability for adding features. Business segments: We cater iBeacon App development for various business segments like Travel, Hospitality, commerce, and, etc. Best-in-class solution: Our solutions offers you with the opportunity to serve your custoemrs better and earn more profit. Seamless communication: We work for long-term relationship and provide seamless communication and services throught the project. 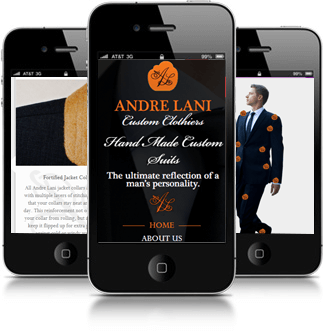 Andre Lani Custom Clothier is a pioneering clothing brand that offers bespoke clothing services for men. After having a retail apparel store made in Word Press, they wanted to extend their reach to the mobile platform. 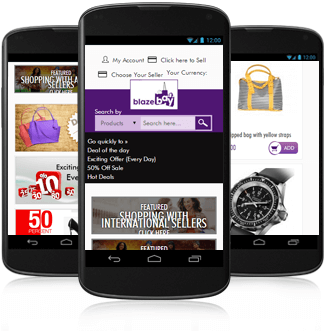 We created an enriching app solution that helped them in delivering the most wonderful m-commerce experiences. 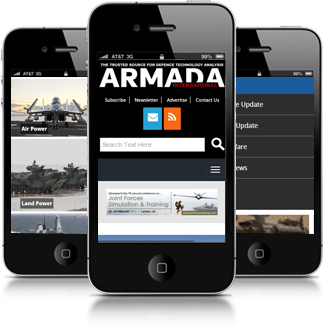 Armada International is a widely acclaimed defence publication, which offers reporting and analysis on the latest in defence Technology, equipment, systems and more. We were privileged to be chosen as their application development partners and lived up to their expectations by creating a high-power mobile app for them. 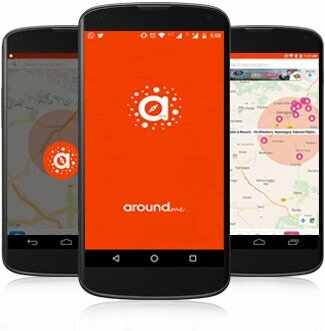 An app for Android, iPhone, and iPad, Around Me tracks the user location and allows him to choose the nearest banks, gas stations, hospitals, bars, hotels, restaurants, movie theatres, supermarkets, and more. It provides a complete list of the businesses in the selected category along with the distance from the user's current location. 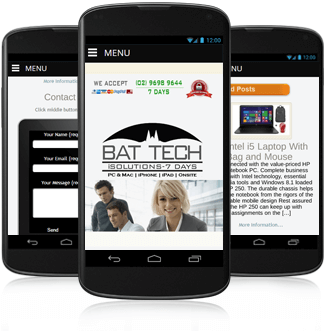 BAT Tech i-solutions is a trusted name for rendering reliable IT support and repairs in Sydney. We created an interactive smartapp that enables their customers to avail professional support and repair services for a variety of devices including laptops, notebooks, iPhone, iPad, and other electronic gadgets from anywhere and anytime. Blazebay, the virtual market place simulates the experience of a physical market place. 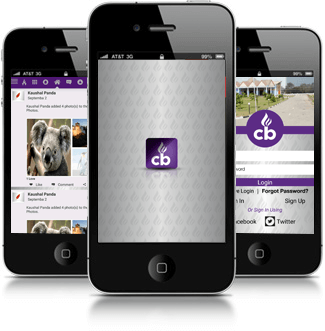 It is linked to the Christian community, the Churchblaze where one can advertise, sell and buy products and services. With this outstanding mobile app we created for them, they are able to deliver all the amazing services, right on the user's fingertips! 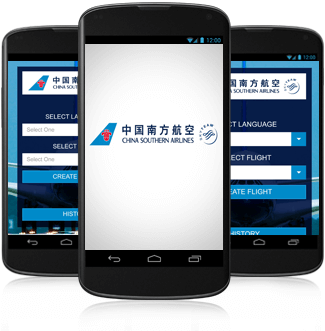 The high-tech app we created for China Southern Airlines facilitates the team members to manage the flights, the arrival or the departure details, enlisted passengers, actual travelling passengers, food orders, and everything else that is required during the flight journey so that flyers have a memorable time, every time! Churchblaze stands tall in the Christian social media community space. Their website and mobile application cover as many as 1 lakh users who are interconnected globally with a common faith. Churchblaze has a virtual marketplace, blogs, forums, online bible, chat facility, etc., to keep people connected. And all this done through this amazing app! CIOL is India's leading business technology community network, which serves as the best destination for IT professionals, solution providers, vendors, CEOs and CIOs of top Indian enterprises. 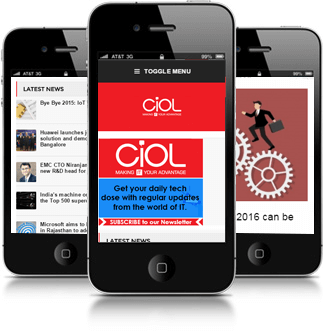 Technology is where CIOL is and we took it all to the smartphone with a nex-gen app. The download of their app eases the browsing of the website at convenient time. The Coach Revolution is an online destination that offers rich knowledge in the field of psychology and personal development. In addition, it enables the users to create groups where they can interact with like minded people. We developed a high-tech mobile app to help them extend their services for smartphone users. The Defense App is one of the most prestigious projects we have worked on as it forms the backbone of the defense system. This is a powerful mobile application that serves a reliable platform to link defense personnel across various organizations and issue alerts in case of emergencies so that they can take the necessary action. 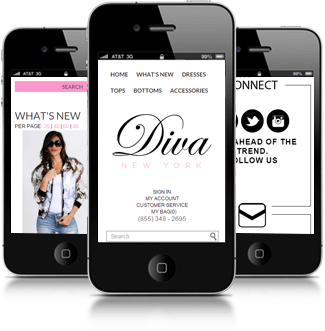 Diva, a popular online store for fashion wear in New York, approached us for an elegant, user-friendly mobile application through which the fashion trendsetters can shop easily using their smartphones. And we created a perfect one that matched the elegance of their brand as well as the expectations of their customers! 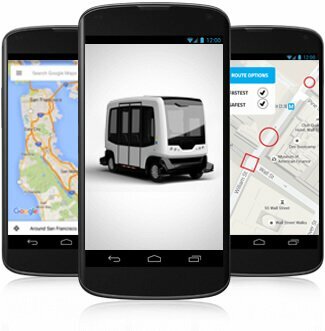 A high-tech iPad application, the Driverless Shuttle App leverages the technology of the Internet of Things to navigate a shuttle without a driver. One of the most exceptional amongst the mobility solutions we have created, this powerful, feature-packed application gives us a distinctive position in the app development domain. 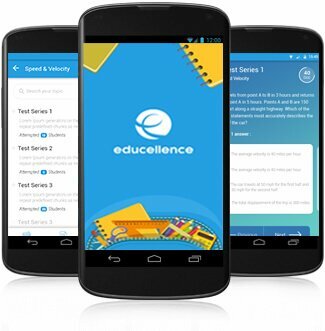 The Education App creates a virtual platform that enables students to assess themselves by using the mobile platform to appear for assessment tests on the app. With this application, students can take course reviews, go through assessment tests and have marks that will be posted on their respective dashboards. They can even see the performance of fellow students and compare themselves with the others. 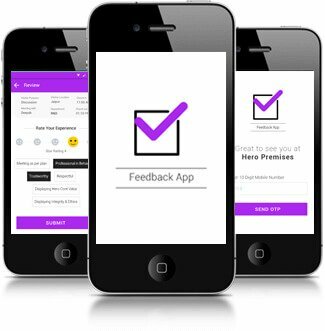 Feedback App is an enterprise app that allows them to collect feedback related to employee meetings from the users. 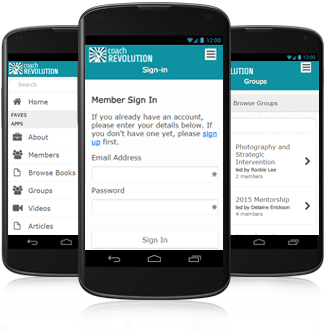 Available for the Android and iOS platforms, the app also delivers meeting reminders in the form of push notifications as well as enables the users to maintain records of the past meetings as well as the meetings scheduled in the future. A simple and user-friendly mobile application, Flash Light Torch enhances the functionality of a simple smartphone manifold. It uses the smartphone screen as the brightest torch with rich, well-defined colours. It facilitates the users to switch on/off the flash LED instantly and thus, turn the device into a bright flash light. 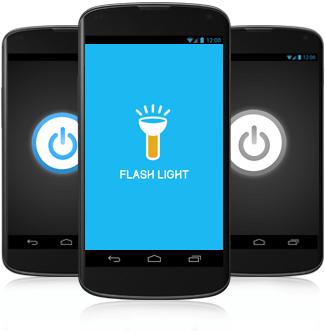 Flash Notification is one of the best apps we have created to date. 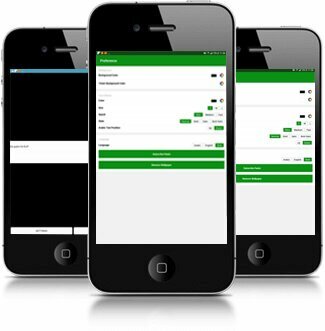 The app enhances the functionality of the phone through flash notification on receiving SMS or calls. 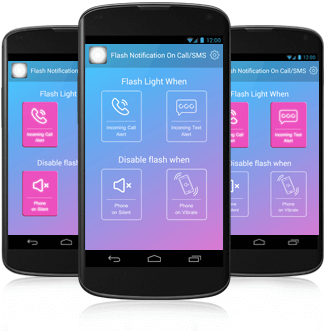 Moreover, when the phone is in vibration/silent mode, the user has choice to set or choose the notification as a flash blink or a specified number of blinks. Gyanshree is a pioneering name in the field of Education. They believe in achieving excellence, offer a stimulating environment, set opportunities to broaden horizons and facilitate building of knowledge and skills for children and teachers. 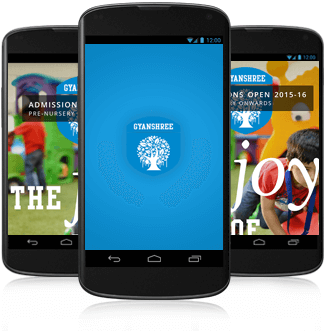 We helped them to showcase themselves on the mobile platform with a powerful mobile app. As IKEA gears up for its launch in India, the brand approached us to create a mobile app that would enable them to connect with the average Indian buyer. The IKEA Foundation Android TV App is designed to showcase the background, culture, and values of IKEA on Android TV at the brand's experiential centre and generate awareness about it. 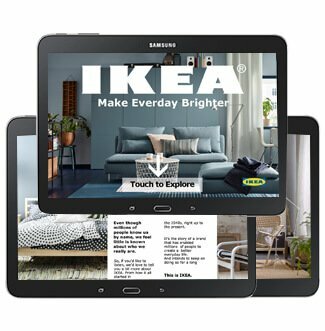 Another app we created for one of our most prestigious clients, the IKEA Hej Home Android TV App is an app that presents the product catalog that IKEA would offer at its upcoming store, the first in India. The app runs the catalog on Android TV at the experiential centre that has been opened up before the official brand launch. 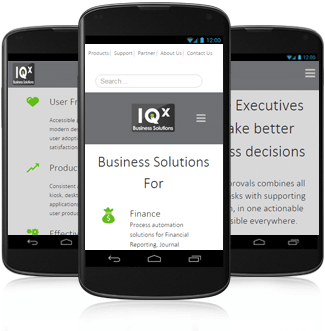 IQX Business Solutions concentrates on quickening and securing critical business processes. Their solution platform encompasses web and mobile Apps, workflow automation and decision support, and consistent SAP and document management system integration. The tech specialists trusted us for building a mobile presence for them. 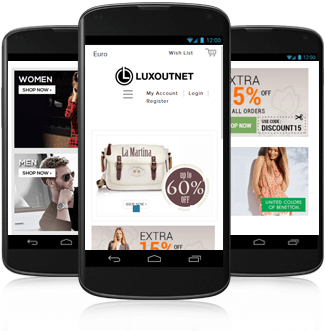 Luxoutnet is the acclaimed online designer shop that brings a large number of vendors under one roof. We supplemented the online store with a custom mobile application that facilitates the shoppers to buy authentic and branded products at competitive and discounted rates, just with a single tap on their smartphone screen. The parents of Gurugram, Haryana may download this app to search for private tuition teachers in their locality. The app serves a commendable UX along with high-end features. Users can have a quick view of the teacher's profile, calculate the commuting distance, look for a commuting facility and select the best suitable teacher for their wards. 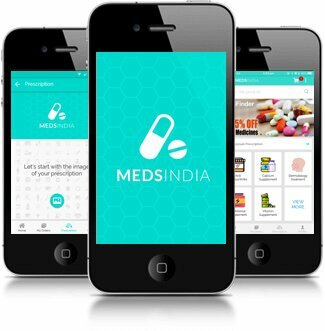 Another app for both Android and iOS is MedsIndia, which facilitates online order and delivery of medicines. The app enables the users to browse through a catalog of medicines, search and select them, add to cart, checkout, and pay online or COD. Just imagine the convenience of having all the essential medicines being delivered right where you are! 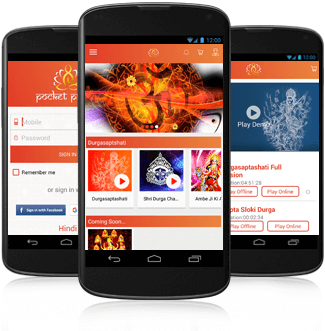 The android and iOS app was rightly released during the Chaitra Navaratri, 2016, and has reached millions of people. It is a sacred chant on Durga Saptashati recited by Acharya Ramanuj Ji for spiritual growth leading to karmic nullification. One may easily download the app owing to its compressed streaming and size; security; create a favorite playlist and listen without ads interruption. 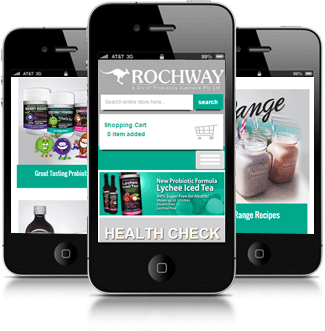 Rochway is a leading Australian Healthcare brand that approached us for developing a mobile app for their online store. With this feature-rich app, we played an instrumental role in making them a technologically advanced manufacturer and distributor of high-quality probiotic formulas nutraceutical health supplements worldwide. 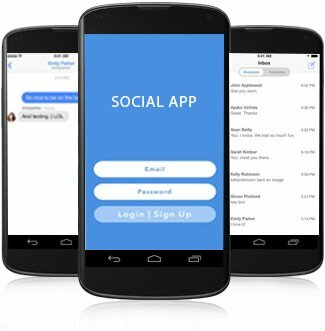 The Social App serves the purpose of connecting the employees within an organization. The application is designed to bring them together on one platform so that they can share as well as explore their thoughts socially. It can be used to create groups and manage the conversations about the projects. A chat feature is also included in the application. 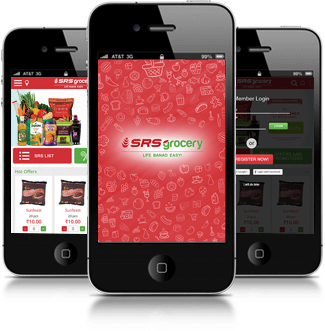 SRS Grocery is a renowned grocery store that operates in Delhi-NCR for delivering grocery at your doorstep. We helped them avail the mobile advantage with a smartapp that enables users to access their online store, pick products of their choice, add them to the shopping cart, proceed to checkout, and make secure payments. 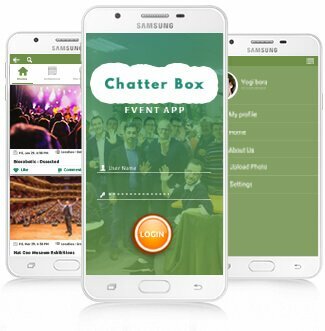 ChatterBox is a feature-packed mobile application to engage the participants and provide them accessibility of the key event information through the mobile. It enables sharing of alerts on upcoming events or change in schedules of the ongoing ones via push notifications and in-app messages. Users can be engaged with mobile polls and surveys. 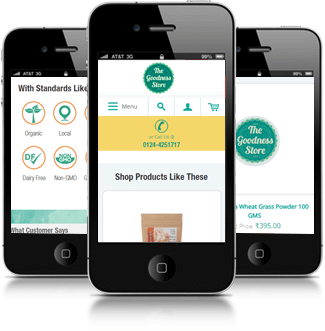 The Goodness store is an online store that offers an amazing range of organic, natural and eco- friendly products such as fruits, vegetables, personal care, gluten free products, and, more. They wanted to extend their reach with an m-commerce app and we created one that delivered seamless shopping experiences for their customers. 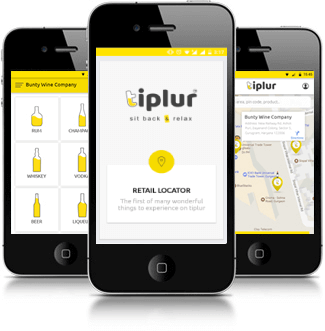 Tiplur is an online liquor delivery app that enables drink-lovers in Gurgaon to order their favorite alcoholic beverages and have them delivered to their doorstep. Just register or log in, choose your order from a nearby store, checkout, and have it delivered with COD anywhere in Gurgaon. 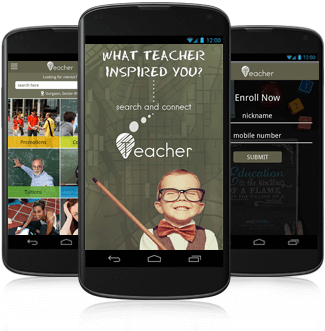 The app is made for both Android and iOS platforms. 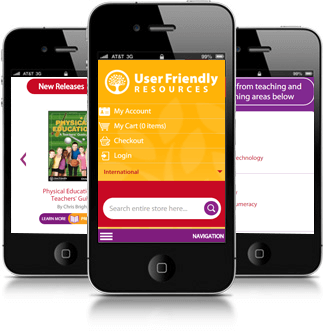 User Friendly Resources (UFR) is a leading firm, which has its own repository of supplementary curriculum and teacher support materials. Over the past 25 years, UFR has been successful in establishing its strong image for developing and providing creative, innovative, and engaging materials. We created a feature-rich mobile app to take their services to next level. 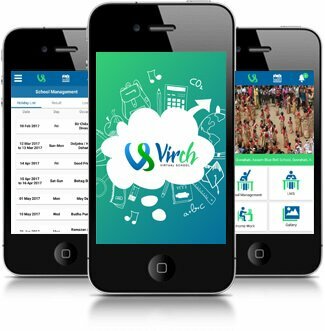 Virch is an Android app which serves as a school information system that enables communication between the parents and school. While it helps the parents to access all the relevant and important information on their mobile, Virch empowers the schools to reduce the communication turnaround time and form a stronger bond with the parents. The Visitors Management app is a location-based enterprise app that manages the visitors who visit an organization and issues printed passes to the authorized ones. The app requires the visitor to enter personal details as well as the name of the employee he wants to meet before printing a pass. It supports multiple kiosk and information desk console and maintains the visitors' records as well. 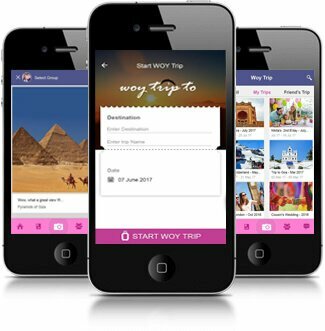 Woytrip is an amazing app that enables users to share images and comments with a group of selected friends while they are travelling or attending an event. The friends can view these posts and comment on them as well. At the same time, the app stores the event without any extra effort so that it can be revisited by the users anytime later. The quality of the work provided at OrangeMantra was simply superb. They have an impressive kind of response and follow up. They won our trust and confidence and we are eager to work with the talented Android team again. I recommend OrangeMantra’s App Store Optimization team for their great work in maintaining and upgrading the mobile application. They were always on time and delivered the desired outcomes. OrangeMantra has a good App developer’ s team and I enjoyed working with them. Communication and responsiveness were top-notch and their skills were strong. In case where the work was beyond the ability, they were in preparation and put more hours on work to get the task done on time. I enjoyed working with Orange and will likely have additional projects for them in the future. I have only one word to say about OrangeMantra. That is WOW!! Time, Cost, Efficiency, Professional, Cordial are some of the words that strike my mind regarding the App development moments. We are getting a successful number of downloads and are expecting more shortly. All due to their sincere efforts. Thank you Team. OM team did a great job. The mobile app was developed in a short time! I liked the consistency in their way of communication. I was always informed about the working status and the next steps involved. Thank you again!. The Team excels in fast service. They designed, developed and delivered our android and iOS app within a short duration of time that anyone may not even imagine. It’s the result of an amazing team effort.